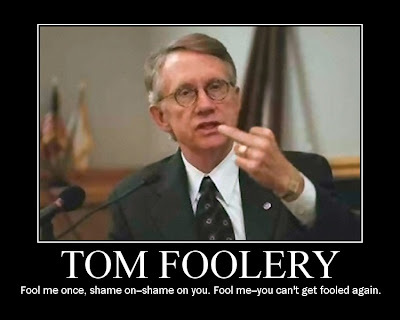 SECURITY VS. SOVERIGNTY :Harry Reid & S.9? "And I believe we would be wise to reconsider the effectiveness and cost of a wall along our southern border, which has adversely affected the fragile environment and vibrant cross-border culture of an entire region. Such a wall stands as a symbol of fear and intolerance. This is not what America is about and we can do better." - Harry Reid on S.9 , a bill to get rid of the fence. Yay? I know I'm supposed to be happy, but I'm not. 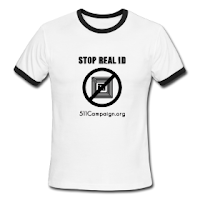 That may be because this is a consolation prize for anti-fence advocates vs. shooting the federal mandate for Real ID in the head and kicking it into the dirt hole it deserves. It would be much easier for them to draft another law than reel in the powers appointed to the DHS to override state-to-federal laws as written in the Real ID Act, especially directives pertaining to the border fence. While trying to wipe the incredulity out of my eyes, I can't say I'm surprised at the offering. Anti border fence advocates, like Raul Grijalva, had well thought out plans for removing ACTUAL problems rather than keeping them in place as a surface placeholder for hegemony. However, when I think of Reid's open border ideas the first obstacle for his agenda is to level the playing field - which would be to make sure the borders are not sealed off. If the U.S. doesn't come up with something better than a 3rd world border fence ( not an American idea) it won't only makes us look bad, but it shoves us further down the totem pole on foreign affairs. How much lower can we afford to go? We can handle ourselves without a meathead fence - thank you very much. Fine. Even for Texas and Arizona and border state constitutents who are not huge fans of Mexican amnesty, they will still find immense relief from the federal intrusion on their lands, emminent domain and the decimation of their property and it's values, not to mention money freed up from the government waste. 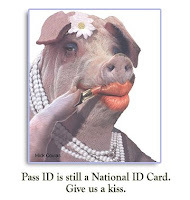 BUT.. the real tactic here is to drive the flock of environmental supporters who have opposed Real ID to boost this legislation and then recede from repealing the whole monster of Real ID. HEY!! I see what you are doing and you are not going to win. Can you say 10th Amendment, Michelle Malkin? States rights live whether you like it or not. Take your batteries out, when you are listening.